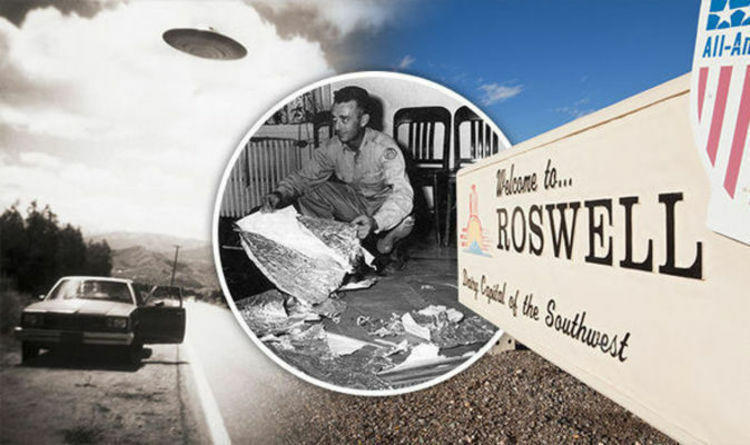 DEAD bodies were found after a mysterious “UFO” crash at Roswell nearly 70 years ago – but they were HUMAN, not alien it has shockingly been claimed. Witnesses later came forward to say there had been alien bodies within the “crashed craft”, which along with the wreckage were then taken to a top-secret military base. It has remained the most infamous UFO conspiracy theory ever since. But now a new book has put forward a theory that is claimed could solve the world’s biggest ever UFO mystery once and for all. British UFO and paranormal investigator Nick Redfern suggests that the object that crashed may have been a top-secret experimental craft with human guinea pigs on it who perished. In the book, The Roswell UFO Conspiracy – Exposing A Shocking And Sinister Secret, he claims the UFO myth was pedalled by the US Government to cover up the real horrific truth. Refern’s theory comes from an interview he conducted in 2001 while investigating Roswell. He met with an elderly woman, who claimed to have worked at Oak Ridge National Laboratory in Oak Ridge, Tennessee. She claimed that shortly after the Second World War, she saw “human guinea pigs” including the Japanese, handicapped people, and prisoners. She told of them being involved in experiments with new aircraft. Redfern discussed the theory on Coast to Coast radio in the US. Mr Brazel had previously said he saw two balloons come down on his ranch. People have said that hieroglyphics were seen on some parts of the wreckage, and Redfern says it may just have been Japanese writing.